Designed for knowledge workers who face vision, hearing, or dexterity challenges. It provides amplified sound, an easy-to-read screen, large buttons for dialing, and crisp audio— ensuring every message is loud and clear. Amplify your collaboration with the Plantronics Clarity 340 UC handset. 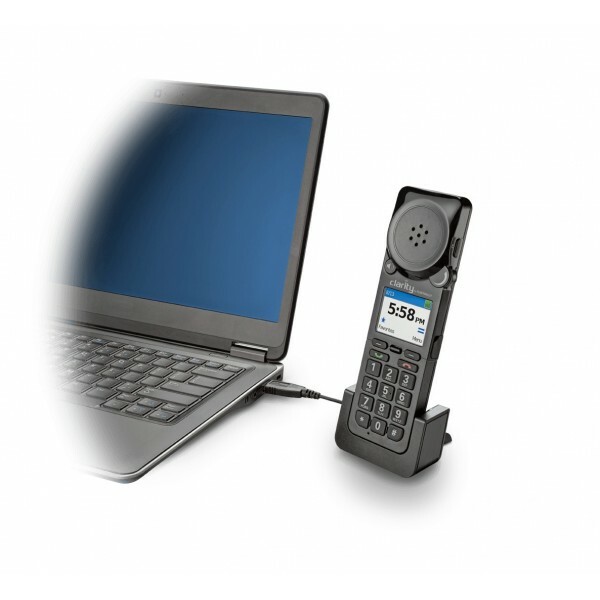 An ideal solution for knowledge workers who face collaboration challenges due to hearing, vision, or dexterity issues, it's the only UC product designed for the communication needs of an aging workforce. The Clarity 340 provides amplified sound; a large, high-contrast LCD color screen; Digital Signal Processing and wideband audio for natural voice quality. 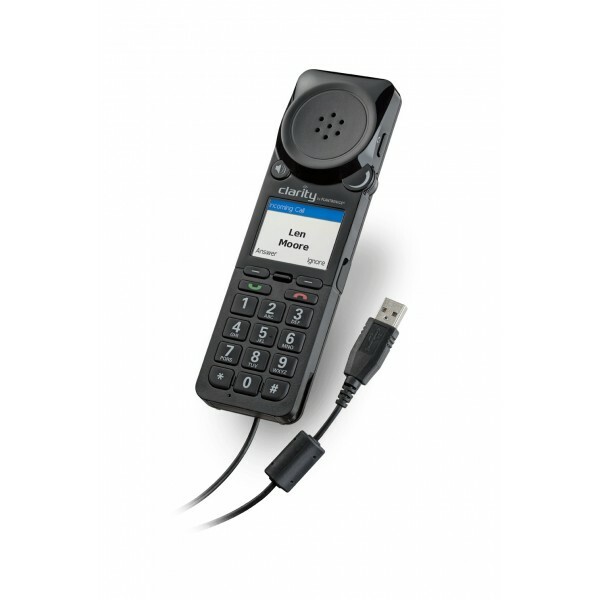 Easily make and answer calls using the handset or go hands-free with the built-in speakerphone. Dial calls using the large, easy-to-use dial pad, view Caller ID on a high contrast color display and store your frequent contacts for easy access. Plus, enjoy full call control with all major UC applications. 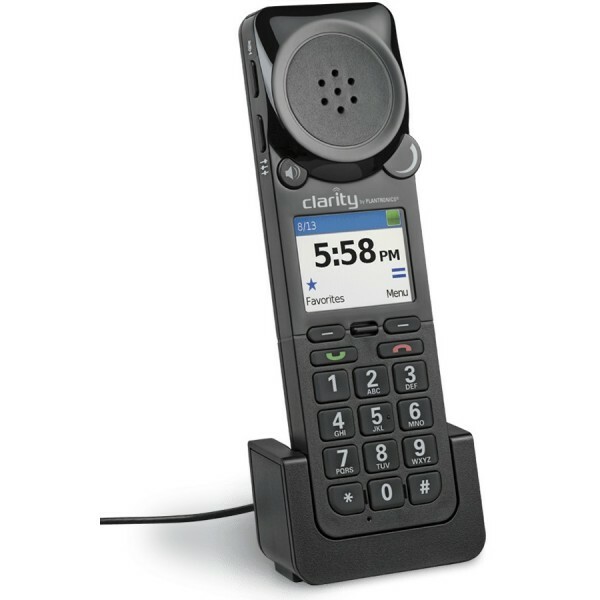 With the easy-to-use Clarity 340, every message comes through loud and clear. The Clarity 340 provides a truly outstanding audio experience for those with hearing challenges. Offering four tone settings to accommodate specific hearing loss patterns, hearing aid compatibility, and large earpiece on the handset for superior sound and amplification. The amplification option to 30dB of wideband audio with a proprietary digital sound processing (DSP) and noise cancellation provides the best PC audio experience available.